We celebrate the life and teachings of Dr. King with the children in terms that they understand. 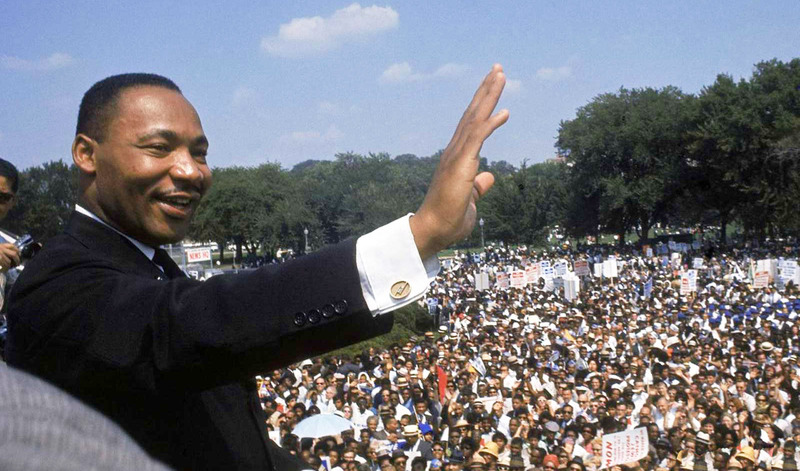 Dr. King was a very good man who taught people to love and not fight, to use their words, make up with their friends when they have an argument, and to cooperate. We tell the children that the things he taught about love are so important, that we have a holiday named after Dr. King. We will bring in a bouquet of flowers to teach them that, like the flowers in our beautiful bouquet, each person is different, but beautiful. Everyone has his or her own skin color, eye color, and hair color and texture. If everyone were the same, the world wouldn’t be such an interesting, exciting place. But under the skin, which is what really counts, we share the same feelings: happy when someone is kind to us… or, sad when someone hurts our feelings. We should try never to be unkind to anyone. One year, when we had a birthday party in Dr. King’s honor, some of the children wondered if he would be coming. If only he could have joined us.